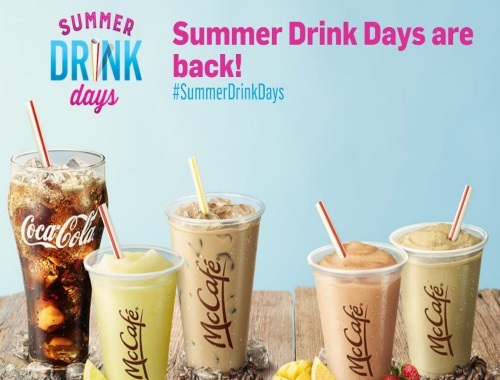 Canadian Daily Deals: Mcdonalds Summer Drink Days are Back! Mcdonalds Summer Drink Days are Back! Summer Drinks Days are back at Mcdonalds! Cool down with a beverage at Mcdonalds! For just a $1, you can get a Small McCafe Frozen Real Lemonade, Small or Medium McCafe Iced Coffee or any Size Fountain Drink. For $2, you can get a small McCafe Real Fruit Smoothie or small McCafe Iced Frappe.